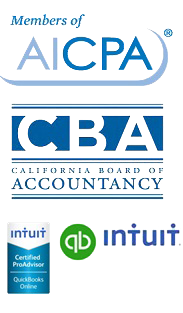 Expert bookkeeping & tax preparation services are only part of the story when it comes to what a CPA must offer! One of the best ways to help your wealth grow in Palm Springs CA is to ensure that you have your financials always in order. A certified public accounting firm can provide you with the support that your business needs to really flourish and manage your individual wealth. The right accounting services are ideal for the individual or the business that wants help to grow their wealth. A dedicated CPA firm has the expertise that you need to manage everything from cash flow services to taxes. Experienced certified public accountants can provide the advice that you need to plan, manage and grow your wealth. Why Choose a CPA Firm? There is one reason that stands out from all the rest when you are considering why you should choose a CPA firm. Expertise! There is no better way to get the financial management tools that you need to grow your business or your personal wealth then to let the experts help. The guidance that you will receive and the peace of mind knowing your financials are being managed by experts is the driving force behind choosing a CPA. Miller & Mehr is the expert firm that always puts your best interests first. You get the personal support that you need to rest assured that you are making the best decisions for your money. Contact us today to learn more about how we can help you!